The Blot was surprised to learn Hot Toys had announced a new wave of Guardians of the Galaxy Vol 2. 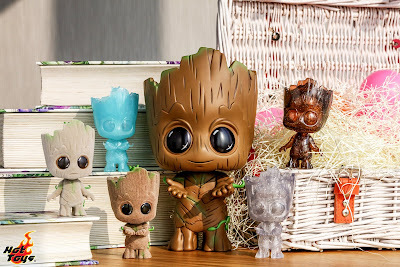 Cosbaby figures featuring only Baby Groot! 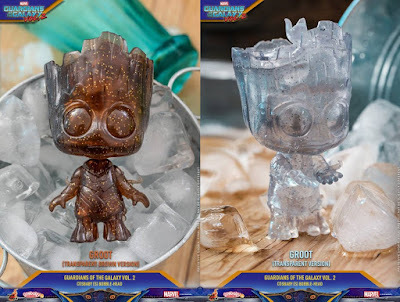 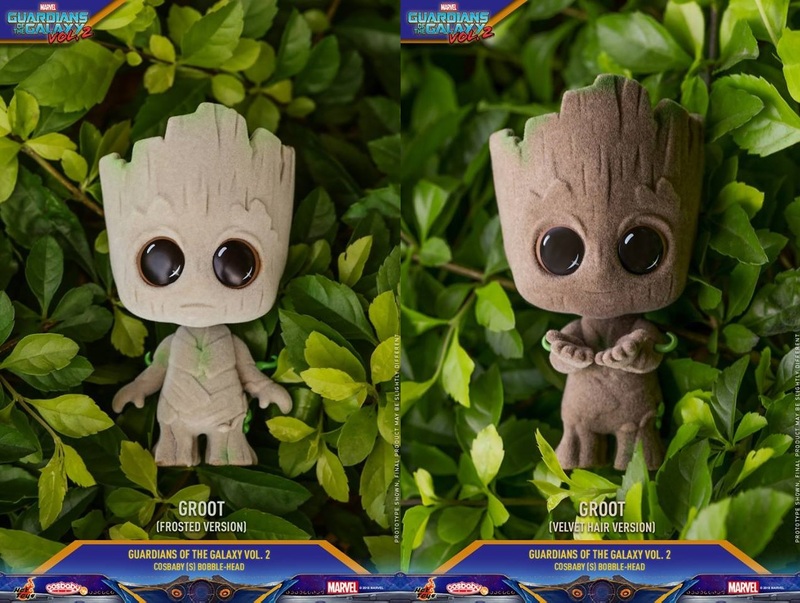 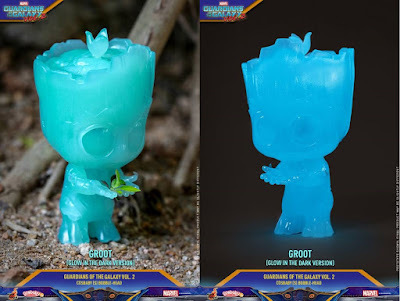 This adorable wave of Groot Cosbaby figures presents our beloved cosmic talking tree in different artistic style, including Velvet Hair Version, Blue Glow in the Dark Version, Transparent Brown Version, Transparent Version and a specially designed Frosted Version that will only be available in selected markets. 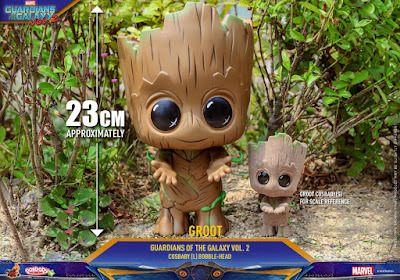 Last but not least is a supersized Groot Large Cosbaby figure that’s not to be missed! All Baby Groot Cosbaby Bobble Head Mini Figures stand about 10cm tall, while the Baby Groot Large Cosbaby Bobble Head Figure stands approximately 23cm tall. This super adorable series of figures will make a super cute addition to anyone’s Marvel Cosbaby collection.